In the end credits it says "For Mia and Joe". Mia is Kate Winslet's daughter with her first husband Jim Threapleton. Joe is Winslet's and director Sam Mendes' son. Anachronisms: The parabolic-lensed fluorescent fixtures seen near the beginning of the film were not in use in the 1950s. Frank Wheeler: We're gonna be okay. April Wheeler: I hope so. I really hope so. 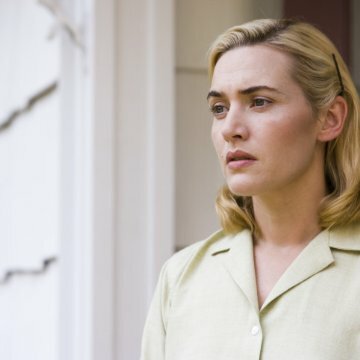 Revolutionary Road is a drama centered around an unhappy married couple living in the 1950's suburbs. They struggle dealing with their lives, how things have turned out, and what to do next. 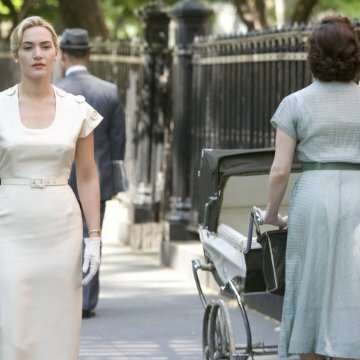 April (Kate Winslet) is a stay at home mother and wife, who seems to want more than that. She had dreams of becoming an actress but it never seemed to work out. She's angry, depressed and really cold at times. 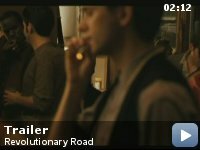 Frank (Leonardo DiCaprio) works in the city, is unhappy with his job and bored with his life. He's just one of those guys that works because he has to. He needs to support his family, even if he hates doing it. Inner demons and problems of his own trouble him as he tries to live out his life. These character have problems and issues just like everyone else. Sometimes they may come off as selfish, cold, or confusing to us. Things haven't worked out, and they're upset. That's whats so interesting about this, you may have friends or neighbors in relationships like this, that would never think of. Everything seems great on the outside, but behind closed doors, it's a different story. We all have had things not go our way from time to time, but it's up to us to make the best from it and move on. April and Frank have a harder time with this. Fair, or not, they are unhappy. You may not necessarily relate to the characters yourself, but you can respect that their are people like this all the time, in everyday life still, that have problems they go through. They may not be as drastic as these problems, but everyone has something not right with them. There are many themes in this film, mainly being love, marriage, relationships, and life. DiCaprio and Winslet give powerhouse performances. They really have a great chemistry together and seem to build off each other. Relationships are complicated and the highs and the lows are really shown extensively. All around great and believable performances with a small role by Michael Shannon, who shines as the crazy guy who tells it how it is. This is a film that will probably be best known for it's acting performances. 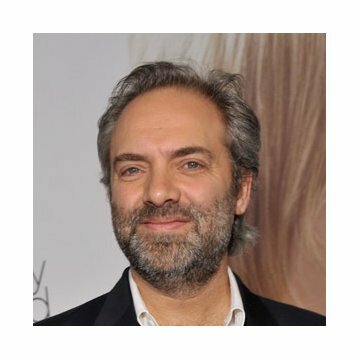 The film is directed by Sam Mendes, the director of American Beauty. The film, itself is visually and artistically amazing. The lighting, colors, sets, scenes, costumes, everything is extremely well done. It's beautiful. I loved the cinematography. I can definitely can understand the hate, or dislike for this film. Due to it's depressing subject matter, it's not really a film you can sit down and just flat out enjoy or be entertained that much from. It's not a film for everyone. If you are just looking to be entertained and have a good time seeing a film, I don't think I would recommend this. It's shows the stark brutal reality of an unhappy suburban couple. If your looking for a film that more than that, one that is filled with terrific performances, great cinematography and direction, then you should check this out sometime. It's a really well made film all around, but be warned, it may be a hard one to enjoy.